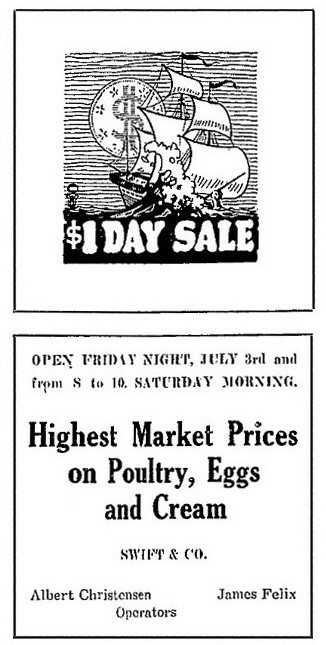 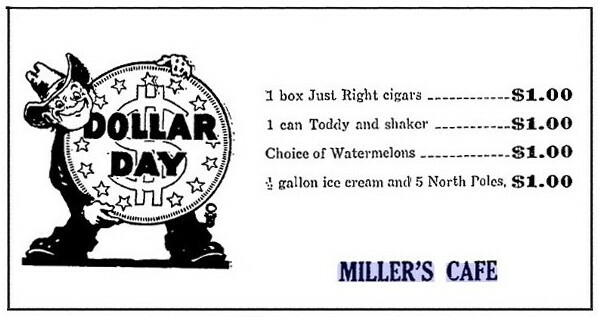 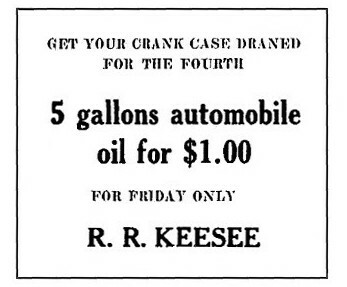 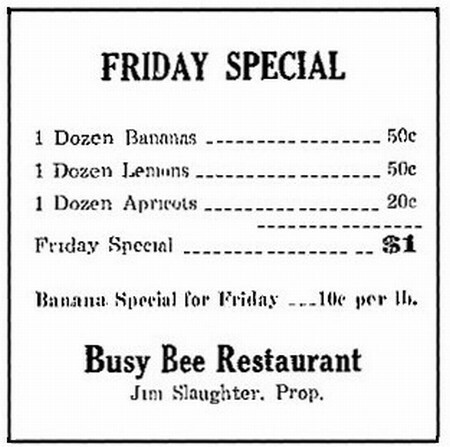 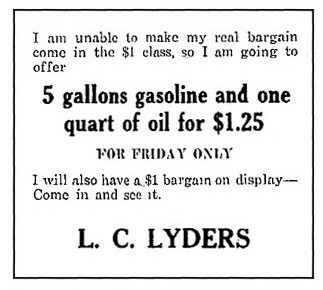 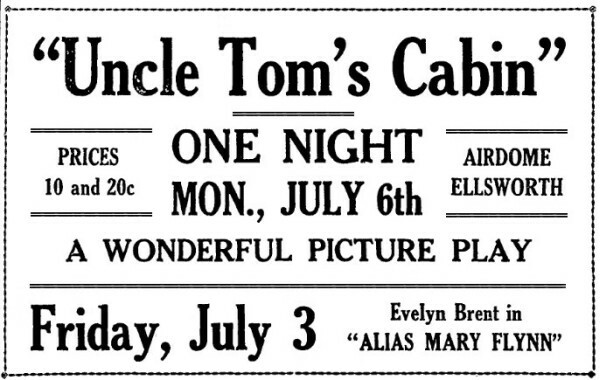 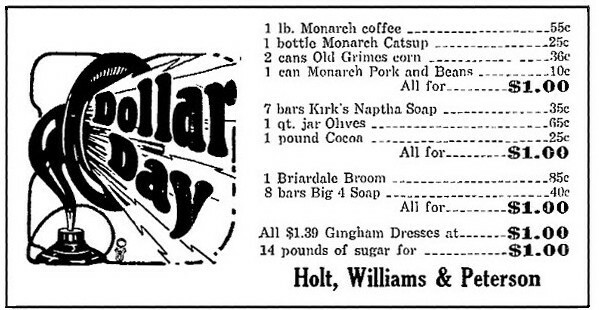 The following Advertisements appeared in the July 2, 1925 newspaper. 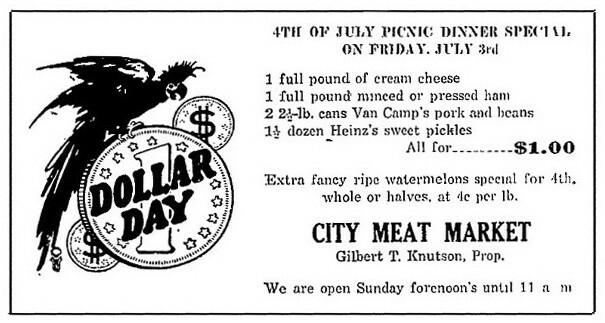 With 4th of July coming, there was a Doller Day sale. 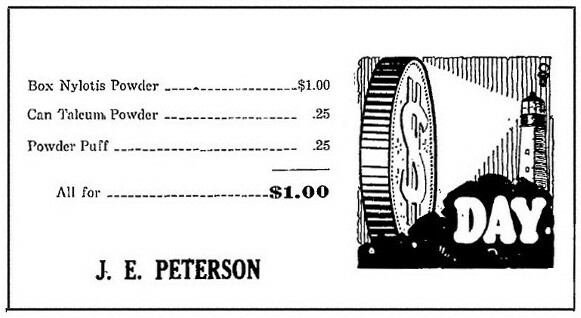 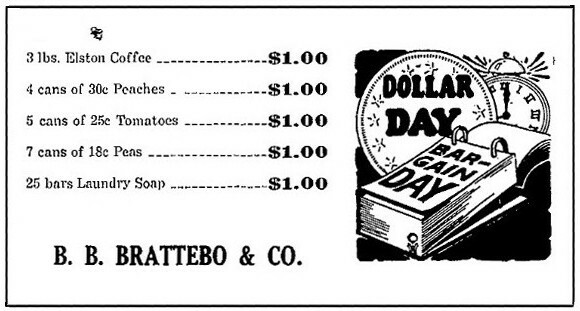 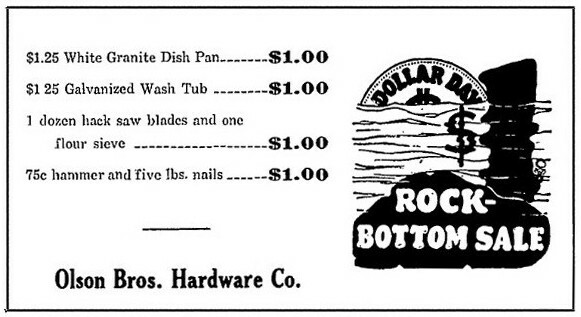 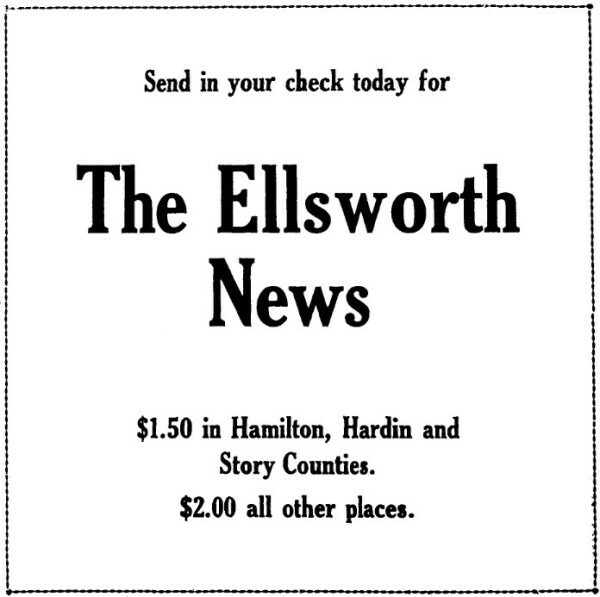 These advertisements were published in the July 2, 1925 edition of the Ellsworth News.